To open a business franchise is a great idea, if you decide to become an entrepreneur. Statistics relentless – most starting businesses will close in the first five years. Want to avoid it? Then it is necessary to conclude the contract with the franchisor. Very well, if you know a businessman who can support you at first, to advise on emerging issues. If no mentor, you will have much more difficult. But you can always open a franchise business, then you will have an experienced mentor – a company that has already achieved success in the market. Franchising came to Russia in the 90-ies. At first it was regarded with suspicion, but with time the situation has changed. Now many aspiring entrepreneurs wish to buy a franchise to engage in less risky business activities. Deductible significantly increases the chances of enterprise success. If you want to open a franchise business, will study in detail the information that is on the Internet. You will help the franchise directory so you will be able to decide on a niche. Typically the most popular franchise of shops, cafes and other businesses in the services sector. No less popular opening training centers, construction companies, gyms. As you can see, the franchise is a great opportunity to change your life, become a successful entrepreneur. You only need to choose the field of activity to which you have is the soul. So you're going to open a franchise business. Start with the elaboration of the contract, this is a very important point. Gather as much information about the franchisor. A seller who truly values his company and care about the reputation, not hide information about your company, willingly spoke about the achievements, strategic goals, open subsidiaries. On the "girls" pay close attention. Their success is a major sign that you should cooperate with the franchisor. Contact representatives of the subsidiaries and ask questions. In any case, reading the directory of franchises is carefully, should not concentrate on one company, choose several options. Please carefully read the terms of the contract. Remember that you do not just have to buy a franchise, you must be willing to fulfill certain requirements of the franchisor which are entitled to inspect and even fined for breach of the agreement. Do not be afraid of difficulties. To open a franchise business is still easier than to storm the heights of the business alone. Franchising has helped many budding businessmen to succeed. You will assist with purchase of equipment, raw materials will tell you which suppliers should operate. In addition, you will constantly advise and again to consult, and that is very important, because start-UPS always have a lot of questions. Of course, the franchise is worth the money, free help you no one to lend will not. Its value may be different, it all depends on what price range and niche you wish to concentrate. The price can start from several thousand dollars to reach hundreds of thousands, if we are talking about the brand of class "luxury". View franchise directory, select any option, then you can buy a franchise. Many franchisors don't just consult on, and guide to help the novice entrepreneur visiting a specialist. 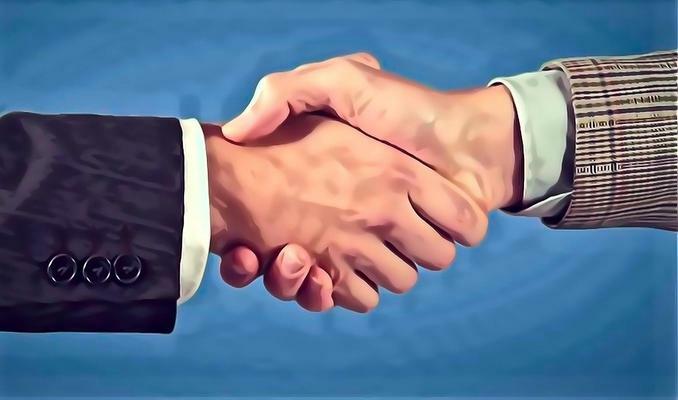 But offer such a service not all companies, therefore, should carefully examine the terms of the agreement before you open the franchise business. Remember that a certain percentage of the possible profits you will have to pay his "patron."